The transition from the PlayStation 2 and Xbox to the PlayStation 3 and Xbox 360 occurred rather quickly in 2006. So fast in fact that there were still a number of PlayStation 2 titles being developed and with everyone looking to upgrade, the few that remained had to stand out in some way. That is exactly what Odin Sphere did when it was released in 2007 but despite being one of the best looking games at the time and a shining example of how great artwork can pull a game together, it remained fairly limited. 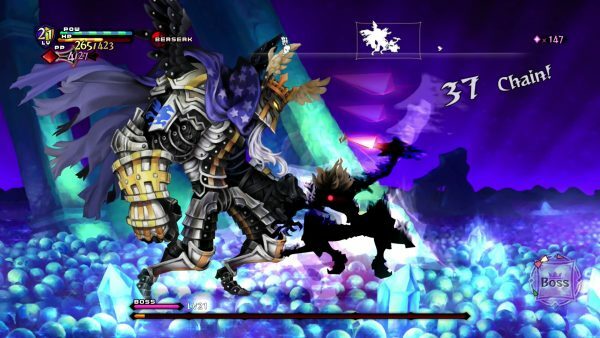 Now Atlus and Vanillaware are back with Odin Sphere Leifthrasir, an enhanced HD version of their original game. So now that it has been released for the PlayStation 4, does it manage to hold up all these years later? The story begins with a young girl named Alicia finding a set of books in her attic with her black cat Socrates. These books tell the story of the five protagonists that players will be following throughout Odin Sphere Leifthrasir. The chivalrous valkyrie Gwendolyn, a prince named Cornelius afflicted with a strange curse, a fairy princess named Mercedes, a knight whose past is filled with darkness Oswald, and finally a witch looking to right previous wrongs named Velvet. The story revolves around these five characters in a land inspired by Norse mythology where numerous factions are warring against one another while others are trying to stay alive or remain neutral as a conflict rages across the world. 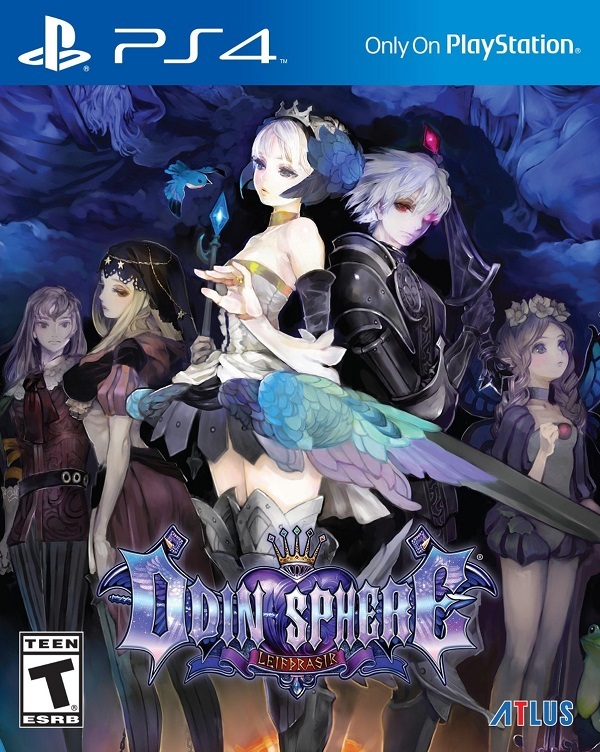 What helps establish Odin Sphere Leifthrasir’s storyline as something to be amazed at is how expertly the writers manage to craft an extensive and compelling plot filled with little twists, betrayals, triumph, and tragedy while also displaying the story from so many different viewpoints. As you progress through the game, players will swap between characters and each of these five characters have their own thoughts on what is happening and the various events that are occurring behind the scenes. This does mean that there are some moments that are retread but this is done in an effort to tell the story from both sides, as the first time players may be leading a charge against a foe while the second time through they will be playing as the defending force and having to face off against the previous protagonist. These different perspectives on the overarching storyline provide a unique feeling to the story and one that blurs the lines between who is good and evil in this world. In fact, over the course of the nearly forty hour long story that players will be experiencing not only are the main characters explored but the world around them and even side characters are developed to great extent in order to help add weight to the story. This style of writing helps create a game that players will eagerly wish to play through to the end and seek out the true ending that requires a bit of thought to unlock. 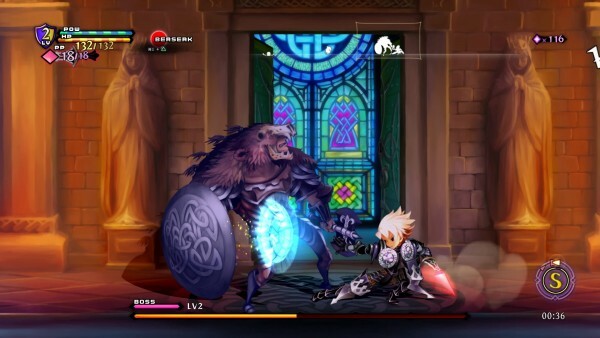 In an effort to make sure that old fans who may have simply preferred the original game with the updated graphics and nothing else, Vanillaware has created Odin Sphere Leifthrasir with two gameplay modes. The standard mode that players can play has all of the various improvements to the gameplay mechanics as well as new areas etc. while the Classic Mode delivers the same untouched mechanics that were present in the original release with the only difference being the updated artwork. 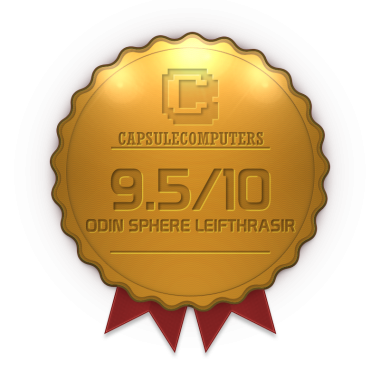 This is a great gesture for purists and those who want to see how the original might have played if they never touched it before, but it is quite evident that the refinements made to Odin Sphere Leifthrasir make it a far better game than what was originally on offer. You see, most characters’ basic attacks no longer deplete the POW gauge and this means that the previously stunted and occasionally slow paced combat of the past is gone. With this limiter removed players can play aggressively with combo attacks while utilizing skills in a more limited fashion, as these still pull from the POW and PP gauges, and since all five of the characters in the game feature their own unique playstyle and every one of them has been given a few new moves to add to their repertoire, only making the combat feel all the more fluid. As you fight against enemies in the game, you will gather Phozons which serve a few purposes. Phozons that are obtained from defeating enemies can be used either as a way for players to improve the various skills that they unlock by finding crystals in the map or improve their weaponry. Thanks to the way that the player customization works now through the skill sets there is quite a bit of freedom for players to adjust characters to fit their playstyle. In a rather odd fashion that many will be unused to, the food mechanics in Odin Sphere Leifthrasir remain the same as before. Players only earn a small amount of experience points from fighting enemies. Instead players will find, or buy, seeds that can be planted and then imbued with a certain number of Phozons in order to grow that plant. Once harvested, the food can then be eaten and it is through eating food that experience points and levels are gained. 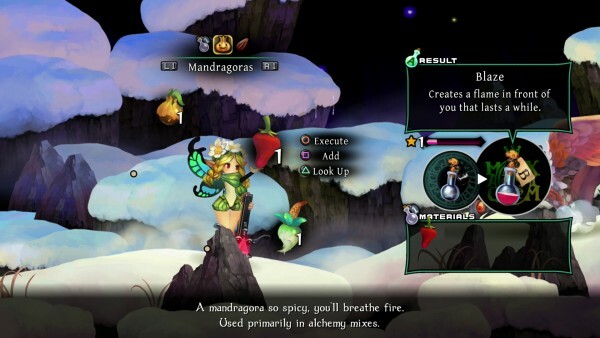 There are even certain locations where food can be purchased or cooked, providing the player has the right ingredients, in order to gain experience points. 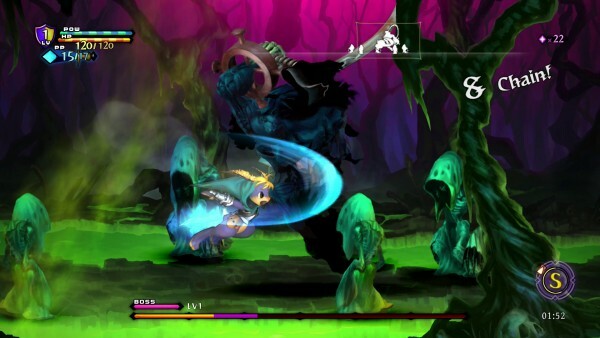 This is essential as players will find that Odin Sphere Leifthrasir does feature a bit of grinding here and there. Phozons are often a limited resource and revisiting an older stage is rarely a bad idea if things grow too challenging. Thankfully the inventory system has been revised to allow for easier sorting of important items such as potions, seeds, food, etc. and gathering together bag upgrades is less of a hassle than before. Combine that with the ability to store items in Item Boxes and some of the nagging issues that plagued the original fall to the wayside, making the aforementioned grinding only a small price to pay if you find yourself up against a wall. When Odin Sphere first debuted back in 2007 and introduced the world to the art style of George Kamitani it blew away expectations to the point that the PlayStation 2 could barely handle the amount of detail that had to be presented at the time. 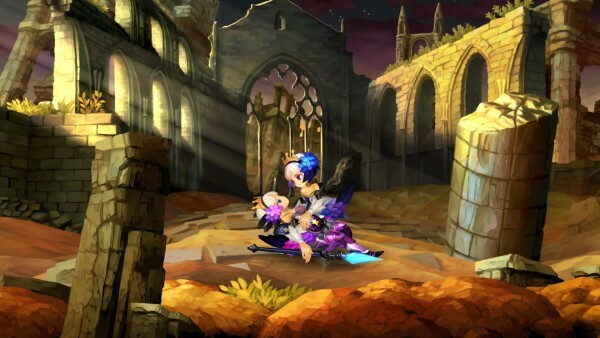 As such it shouldn’t be too much of a surprise to hear that now that Odin Sphere Leifthrasir is on the PlayStation 4 with completely redrawn artwork and support for modern day 1080p 60 fps gameplay that this is an absolutely gorgeous game. The unique and vibrant art style creates a vivid world that is brought to life through the well-designed characters and environments players will be exploring. Players will be able to select between either the freshly recorded English voice work for the game or the original Japanese voice track depending on The title also features an incredible soundtrack featuring a brand new theme song and a number of new tracks that have been mixed in with the old familiar tunes. The charming soundtrack lends itself well to the painted fantasy world and breathes some extra life into the action especially during crucial moments in the story. 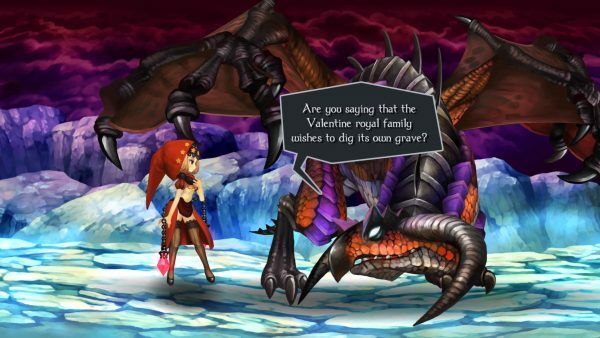 It is clear that Vanillaware knew what they were doing when it comes to Odin Sphere Leifthrasir. While the original may have been released during an unfortunate time, the company took the great game that many may have missed back then and have streamlined and enhanced nearly every aspect of it in order to produce a game that improves on the original in every way while leaving all of the charm intact. Odin Sphere Leifthrasir might seem like a strange combination of various genres, but this odd mixture has created an exceptional game.